A hugely enjoyable picturebook jam-packed with detail. You will find yourself poring over the pages for hours.Mi lives in Museum City. With so many museums to visit, you would think Mi would have lots to do. But he's bored and lonely; the city is full of museums about uninteresting things. But a beautiful sound leads him to Yu (a big tall thing), and together they try to persuade the Mayor to open museums about some of the more enjoyable things in life, such as The Museum of Starlit Benches Arranged at Different Heights for Pebble-Dropping and Other Fun Things. REVIEWS: "Readers who like to poor over visual details and eccentric snippets of text will love this unusual picturebook, whose pages are covered with slightly surreal images reminiscent of Spike Milligan's drawings and jokey captions...A book that will inspire readers to come up their own mad ideas and silly doddles" --Nicolette Jones, SUNDAY TIMES, CHILDREN'S BOOK OF THE WEEK. "An engrossing layout that has the reader going back and forth across the pages to absorb all the intricate details.It repays close attention as there is so much to enjoy, and there's a super poster with an A-Z of the city museums - the detail is amazing" -- PARENTS IN TOUCH. "An exciting book about being observant, imaginative and open to the wonder and delight in even the smallest things, an utterly charming and magical debut.With its intricately detailed, scratchy pencil and wash illustrations this brilliant book is best for curling up with in laps; there are many cameos to comment on and linger over. 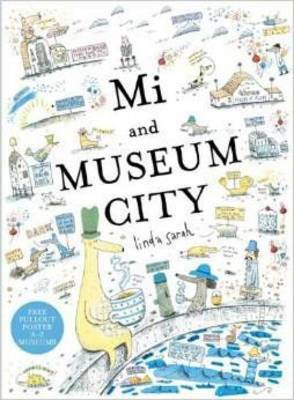 It will also be enjoyed in classrooms as it lends itself so naturally to encouraging creative, lateral, out-of-the-box thinking.Mi and Museum City was one of my most anticipated books before I'd even read a full copy, and now we've actually got it in our home, it's brought lots of delight and smiles. Appealing to kids' natural passion for collecting the weird and wonderful, celebrating the transformative power of music and our ability to create beautiful worlds we'd like to live in if only we'd give it a go, this picture book by Linda Sarah is charmingly eccentric and heartwarming" -- Zoe Toft, PLAY BY THE BOOK. "Every page leaps into life as Mi's narrative develops.The style of illustration is redolent of Richard Scarry, although the story has a uniqueness all of its own" -- BOOKS FOR KEEPS. "Packed with enervating anarchy, puzzling prose, intricate illustrations, charismatic characters, a pull-out poster and, most importantly, a feast of fun, Mi and Museum City offers imaginative children a magical brand of constructive mayhem" -- LANCASHIRE EVENING POST. "There's a lot of humour in the artwork, and variety from page to page...one of those lovely books that would work well with children of all ages" -- THE BOOKBAG. 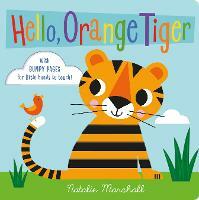 "This is a gorgeous, rich inclusive story that will resonate with kids, and touch the creative heart in us all. The childlike creativity is strong in this one - and this book will besot anyone who thrives on the fanciful (i.e. every kid ever born).I simply adore both the voice and the imagery from this talented author/illustrator. I love her warmth, openness and vibrancy. 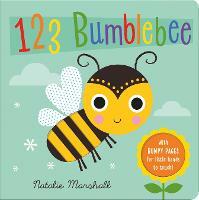 I love the busy-bee pages with so much to look at and enjoy, it will keep kids engaged for hours. The illustrations would have to be some of my favourites, ever" -- KIDS BOOK REVIEW. "What a wonderfully uplifting and crazy experience it is to visit Museum City along with Mi...If you are fascinated by the minutiae of life then lose yourself within the pages of this [book]; you'll feel different when you emerge" -- RED READING HUB. Linda Sarah is a debut picture book author/illustrator.